Environ® Skin Care achieves outstanding results for people who are serious about skin. Formulated by Dr Des Fernandez a world-renowned plastic surgeon, the range contains a unique combination of active ingredients to protect and nourish. The clinically-tested formulations are packed with powerful antioxidants and active vitamins to help improve the appearance of lines, sun-damage, problem skin, uneven skintone and dryness. The Cool Peel uses Lactic acid to repair and encourage exfoliation, to reveal fresh and more youthful looking skin. 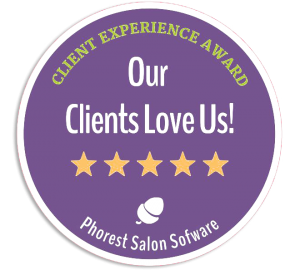 It is a pain free and no downtime treatment. This treatment is great for those with photo-damaged skin or those with problem skin or excessive redness. The peel strength can be varied, allowing for a tailored approach. The peel is lactic acid based which enables measurable results to be achieved whilst caring for the epidermis. What is the Cool Peel used for? 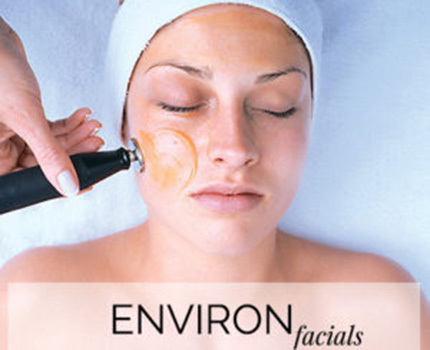 Environ®’s signature facial, the Active Vitamin Treatment, uses gentle electrical pulses and sound waves to greatly enhance the penetration of powerful nutrients. Skin is left nourished, supple and radiant.